December 7, 2018 -- Can clinicians use as little as 10% of the conventional FDG dose and still produce diagnostic-quality images to detect breast cancer? Absolutely. 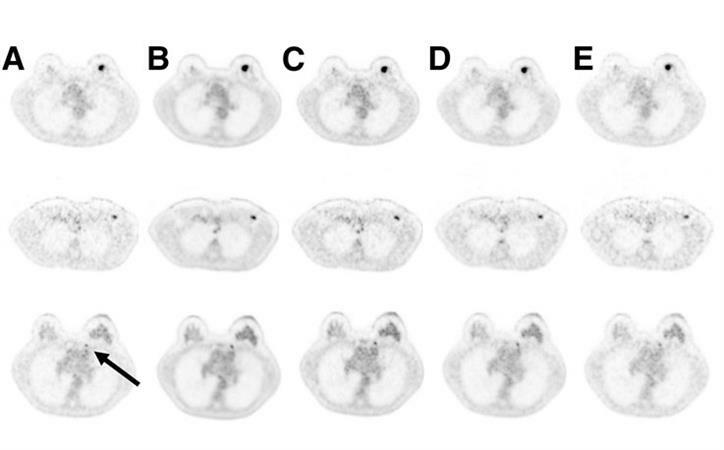 It's feasible using a time-of-flight (TOF) imaging technique with PET/MRI, according to a study published in the December issue of the Journal of Nuclear Medicine.